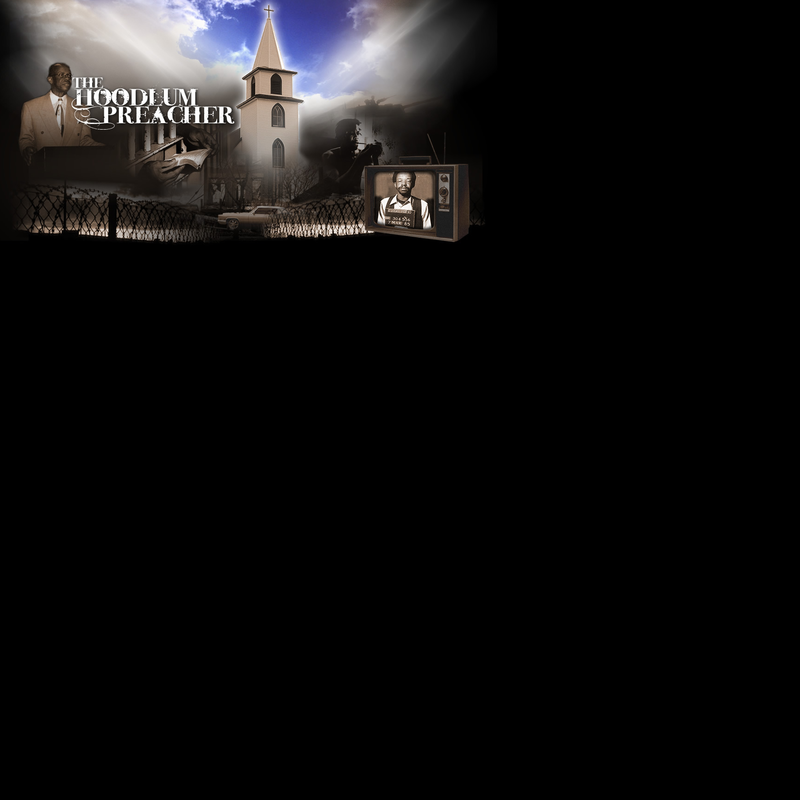 The Hoodlum Preacher - Movie Coming Soon! From prison to the pulpit, this con artist-turned church preacher went from standing in a police lineup to standing alongside Rev. Jesse Jackson. Rev. Burton Barr Jr. details a life of crime and redemption, as a former drug addict/dealer now helps troubled youth and young prisoners avert a wasted life, providing evidence of just how much the presence of God can change a man, and save his life. Over a 22-year period, stemming from age 20 until his early 40's, Rev. Burton Barr, Jr. was a lost soul. Arrested over 30 times - and wanted by the police in over a half-dozen jurisdictions -- Barr had done everything possible to ruin his life. He survived being addicted to trees, reds, heroin, acid, cocaine, and alcohol. He was a drug dealer, and has been shot and even stabbed. It's not the life you would expect from someone who was ordained a preacher at the age of 17. Rev. Barr may have lived his life in a fog, but he recounts the ugly details of his crime spree and his amazing redemption in this moving autobiography, The Hoodlum Preacher. Ray Ellingsen began his film career in 1987 as a writer. He has since gone on to numerous other aspects of filmmaking including directing, producing, and supervising post-production of feature films, documentaries, and commercial work. Ray has written and directed two documentaries and a feature film, as well as a multitude of commercial and industrial format projects. He has produced nine feature films and over 30 video and commercial projects. In addition, Ray was the operations manager for the Hollywood-Phoenix Film Studios, the largest motion picture film studio in Arizona. He was responsible for bringing several feature films to the studio including "Pandemic" and "Neverbeast", as well as the television series "Hidden Palms" for the CW Network. Cedric Mixon founded Kobalt Books in 2003, as an outlet for inspirational stories. Mixon is the executive producer of the feature film, �Under the Cherry Tree�, which he wrote, produced and directed. Mixon brokered the national distribution deal for all of Kobalt Books� titles which extends from United States, Canada, United Kingdom and Europe. �Under the Cherry Tree� was released nationwide and landed in many Walmart, Blockbusters and over 16k Redbox kiosks. Cedric Mixon's responsible for publishing and implementing a phenomenal grassroots marketing plan for �The Hoodlum Preacher� (novel), which produced nearly twenty million impressions with a budget of less than ten thousand dollars by going directly to urban/gospel radio and many supporting churches. Rene Leda has over 28 years of experience in the film and television industry. His expertise ranges from developing and distributing television programs in international markets, to handling programs for companies like Twentieth Century Fox TV International, Warner Bros., ABC, CBS, Columbia Pictures, BBC, and many more within Latin American markets. In 2004, Leda formed NetMinds Inc., a distribution company selling films, series, and formats to markets worldwide. Leda�s NetMinds joined forces with Anatol Chavez/Terra Entertainment in 2009 to create Synergetic distribution, an entertainment production and distribution company. Kevin Kenney has been a writing consultant and screenwriter for well over a decade. As a consultant and writer Kevin has worked with The Discovery Channel, VH-1, Millennium Concepts, E-MOTION, Silver Mine Entertainment, as well as several other companies. He also wrote �Atlantis in the Andes�, a provocative documentary which aired on The Learning Channel. Kevin wrote the screen adaptation of �The Hoodlum Preacher�, based on the true life story of Reverend Burton Barr. Recently, Kevin completed the screenplay, �Six Deadly Fingers of Fury�, a 1970�s �Grind house� parody, which is a companion piece to the mocumentary, �Mad Mex�. Kevin�s current project, �Rogue� is being developed and packaged with Moving Pictures Media Group. Rev. Burton Barr, Jr. was an ordained minister by the age of 17. He has served as one of the associate ministers of the West Side Missionary Baptist Church under the leadership of the Rev. Dr. Ronald L. Bobo, Sr. since 1994. 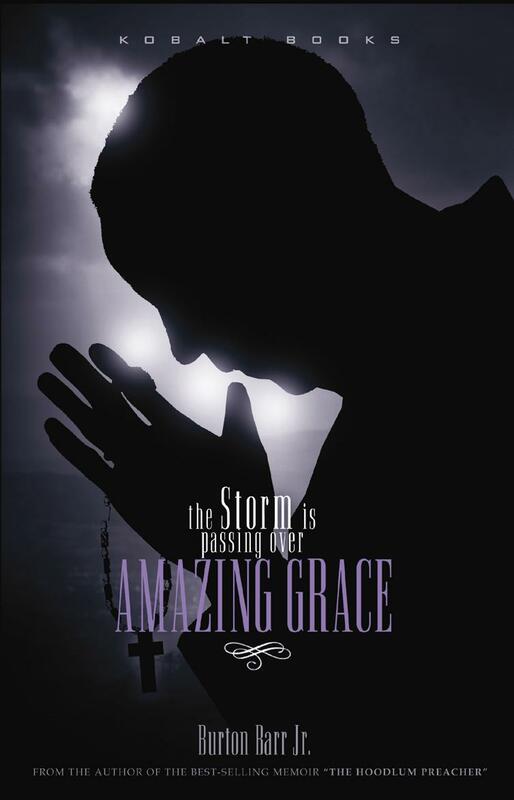 He serves as Director of the Prison, Substance Abuse, and Outreach Ministries. He is also the Commissioner of Prison Ministry for the National Baptist Convention U.S.A.
Rev. Barr is the author of the bestselling autobiography, �The Hoodlum Preacher.� He preaches and teaches the Gospel of Jesus Christ in prisons all over the country. He also preaches and lectures at churches, youth rallies, and youth revivals in an effort to keep young people from ending up in the prison system. by Rev. Burton Barr Jr. 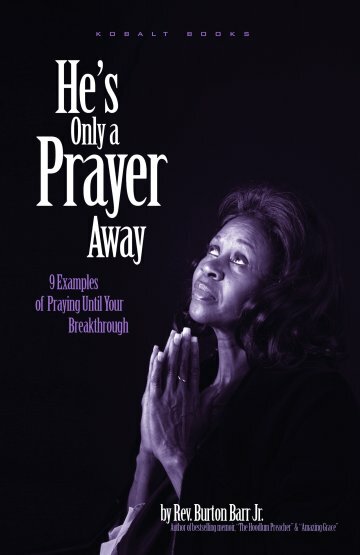 He's Only A Prayer Away by Rev. Burton Barr Jr.
"The Hoodlum Precher - Movie Coming Soon! Book in Stores Now!"